On the 25th and 26th of October 2018 the Medical Engineering Society organized the conference in the hospital in Gorlice. The aim of the conference was to become better acquainted with the technical problems encountered by many medical institutions. 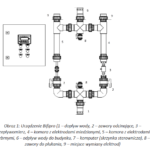 The Medical Engineering Society and the director of the hospital in Gorlice invited our representatives to give a one-hour lecture on the technology used for disinfection of domestic hot water. Almost 30 people attended the meeting, including the invited directors of other hospitals and centres as well as Mrs. Barbara Bartus, the Member of Parliament. The Medical Engineering Society (MES) is a non-governmental organization operating at the Specialist Hospital in Gorlice. Its aim, among other things, is to develop and use knowledge in the field of medical technologies as well as to participate in development of domestic economy. 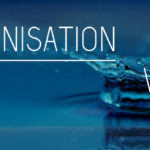 What is more, implementation of new techniques and continuous development of employees are very important. During the conference the members of MES debated about the technological problems that occur in their centres. 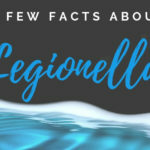 The problem of Legionella was also raised among the other issues. Our team was invited by the director of the Gorlice hospital to give a lecture on the occurrence and elimination of the Legionella bacteria. Different centres around the world are struggling with this problem. 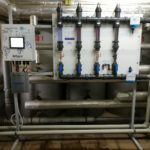 The Gorlice hospital installed the Bifipro technology in September this year to provide the patients and the hospital staff with clean, safe and legionella-free water. The satisfied hospital authorities wanted to share their knowledge about this technology also with other centres. Thanks to the silver and copper ions, the Bifipro system removes bacteria from water and, what is important, it does not cause corrosion. This is very crucial especially for large hospitals, where the installation is very extensive and its replacement would generate high costs. The guests were very interested in the technology. Unofficially, after the lecture they asked our representatives about the details. Mr. Leo Zeeuw De also attended the conference in Poland. He is the president of the Dutch company, Holland Water. Blue Fifty is its local representative. He talked about the operation of Bifipro in the Netherlands and in the world. During the meeting it was also agreed that the Medical Engineering Society together with Blue Fifty and Holland Water would organize a several-days trip to Netherlands for hospital directors/managers from Poland. During this trip the guests will be invited to the Dutch centres where the innovative technological solutions improving the quality of their functioning were installed. There will also be a conference organized together with the Dutch Medical Engineering Society. If you want to take part in this trip on behalf of your hospital/centre and learn more about the latest technologies, do not hesitate to contact us right now!